So this past Saturday I attended a Nigerian Wedding. I really didn’t want to attend, but after being persuaded by a few friends and the fact that I’m always indoors, at least let me see what’s happening in the world, I decided to go. Prior to that time, It had been a while I attended a wedding, so I had basically forgotten what a Nigerian wedding felt like. When I entered the hall, I was blown away by the decoration, the flowers, table arrangement; it was all so beautiful. I was like wowwwww, this is magnificent. The hall was divided into two (2), one-halfwas called gold (VIP section) and the other for the common men (lol), I just hate that type of arrangement. Anyway, I decided to seat at the common men area so I won’t be harassed in the VIP area (as I never reach). A lady came and sat beside me and I greeted her, good afternoon; she answered me, but she was shocked. She now asked me whether I knew her, I said no. She was asking whether I knew her because I had greeted her. I was surprised, is greeting strangers now so scarce or hard to come by, or is it meant to be between familiar people? I pray for a time that morals will the norm in our society and it doesn’t become a thing of the past. Anyway back to my gist, I was incredibly bored, I started posting Instagramstories. I thought Nigerian weddings are meant to be bubbling, no accommodation for boredom (Fortunately for me, a friend later showed up, I had no idea he was coming. His coming eventually took me out of my boredom). There was so much noise, chaos and shouting, my God I thought I was in a market. Nigerian weddings are too loud, noisy and disorganised, asoebi and conspicuous headgear everywhere. What is the responsibility of a wedding planner, if the wedding will still be rowdy? Honestly,I think we need to step up our game. By the time I was leaving by 4 pm, half of the hall hadn’t eaten yet, one wise tip to note: when going for a Nigerian wedding, make sure you eat before leaving the house (That has always beenmy principle, and I thank God I ate before leaving the house). The likelihood of you not eating at the wedding is very high especially if it’s rowdy. After seeing how rowdy and complicated Nigerian weddings can be; my sole wish and prayer to God is that I’ll have the wedding I want. I don’t want the rowdy, disorganised, marketplacewedding. I want a small crowd, I want to be able to look into the crowd and recognise everyone. I want to be able to cater to everyone INVITED. Did I say this wedding was strictly by invitation? Well, it was. Thank God I got there early; else I wouldn’t have gained entrance because I forgot the invitation card at home. People were now struggling and fighting to gain entrance into the hall. Thank God I was saved that embarrassment. Nigerians are now doing strictly by invitation weddings, and people haven’t really gotten used to the idea, it may take a while but we will get there, cos if I have my way, my wedding would be strictly by invitation (asoebi doesn’t count oh). Though I’m the first born and it seems very unlikely that I may have my dream wedding, but at least I’m allowed to dream. I missed one important part of this wedding, the music was gooooddddd. DJ was so on point. He kept reeling out the oldies, kept us all on our feet. It was awesome. I made a mental note to seek him out when I’m getting married. The best part of it all was that I was able to witness my dear friend get married to the love of his life. I prayed for them from the depth of my heart and I know they’ll have the best life. 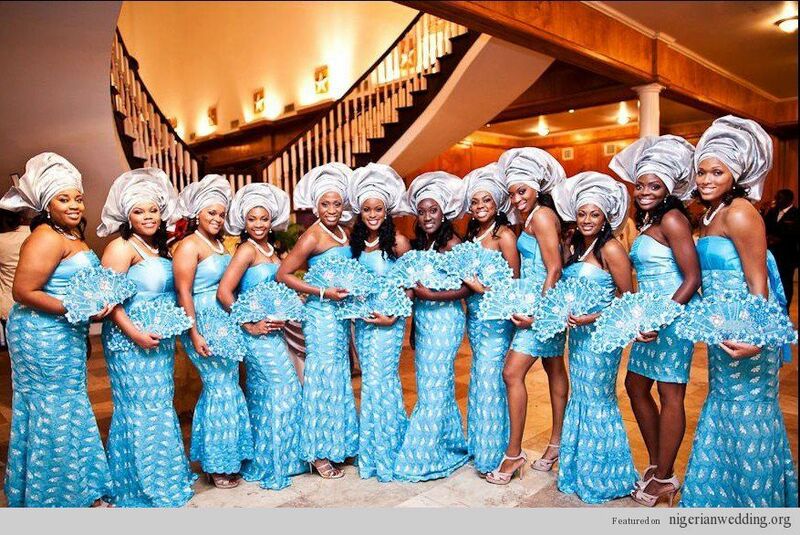 Have you had any experience at a Nigerian wedding that you would like to share? Please do not hesitate, kindly do that in the comment section.